I am a single parent with a teenage son, and as a writer with an ever-changing level of income, I’m always watching what I spend. Many Americans are in my situation, and many have slashed their entertainment spending to allocate cash for their emergency fund or college savings account – or, they simply worry about being able to afford necessities, such as groceries and rent payments. However, being on a tight budget doesn’t mean that all fun has to stop. By looking for deals and making wise choices, you can enjoy yourself without going broke. There are plenty of things to do for free or for little cost, and many excellent deals are available – if you know where to look. One of my favorite places to find deals on food and entertainment are daily deal sites, such as Groupon and LivingSocial. You are given a limited amount of time to buy each deal, which may be an excellent discount (as much as 50% off). However, be sure to check the expiration dates. Many deals are good for several months, but others can be very short. Besides saving you money, these deals can broaden your horizons by introducing you to new things. Recently, I used a coupon that provided $20 worth of cheese for $10 at a local cheese factory, complete with a factory tour. Until I found the deal, I didn’t even realize the cheese factory existed. However, it turned out to be an interesting and fun experience. Remember, it is important to only buy the deals you’re certain you’ll use – if you buy coupons for restaurants you’ve never been to or that are located clear across town, you may be less likely to use them before the expiration date or at all. I receive several free circulars that contain all kinds of coupons for deals in my area. Many are for restaurants that I enjoy, and include two-for-one meal deals and half-off coupons. Sometimes, such mailers offer deals on upcoming events. For instance, during the holiday season, a park near my home has a Festival of Lights. The mailer coupon is good for $2 off admission, and also lists “community nights” when entrance is free. It only takes a few minutes each day to sort through all the offers in the mail – but making it a habit could save you big on fun in your area. If there is an upcoming festival or event that you want to attend, look for deals on the event’s website. For instance, I was admitted for free to Summerfest, a music festival in Milwaukee, by attending on Children’s Day, which offered free admission for all (regardless of whether you have kids). Local TV news and newspapers may also have information regarding discounts on upcoming events. Also, keep an eye out for deals while at the event. For example, the local state fair offers a bargain book with coupons for discounts on food from certain vendors. Many family restaurants let kids eat for free or at a reduced price on certain days of the week. Days when business is generally lighter, usually Sundays through Tuesdays, are popular days for this promotion. However, deals on a Friday or Saturday are not unheard of. For instance, a family restaurant in my area offers kids’ meals for $3 with the purchase of an adult meal, seven days a week. To locate deals in your area, simply visit KidsMealDeals.com, input your zip code, and search for a particular day of the week or choose “on any day.” Click on a restaurant, and details of the promotion, as well as a map showing the restaurant’s location, will appear. However, you might want to call the establishment before you go, just to be sure the information is accurate. If you can provide proof, some restaurants offer free dinners or desserts on your birthday, or even at any point during the entire week or month of your birth. You can find birthday deals in your area by going to FreeBirthdayMeals.org and then clicking on your city and state. The company I used to work for offered a variety of entertainment deals: discounted tickets to shows at the performing arts center, group deals at the local pumpkin farm, and discounted movie tickets. Check with your boss or human resources to find out if your organization offers similar deals. You may also be eligible for deals from clubs or associations you belong to, such as AAA or AARP. Check the club website to see if a list of deals is available. Not long ago, I glanced at the back of a grocery store sales receipt to find a code for a free movie ticket. Thinking it was too good to be true, I went online and input the code on the grocer’s website. After verifying that the ticket would be honored at my local theater, I printed out one free movie ticket. It was that simple. Since then, I have made it a habit to look at the backs of my sales receipts, as it has become quite common to find coupons there for not only entertainment, but for deals on groceries as well. I’ve also found a deal for a free movie ticket on a cereal box. It required the purchase of two boxes of cereal, but who doesn’t eat two boxes of cereal eventually? I was going to buy cereal anyway, so to get a free movie ticket was an unexpected bonus. Keep an eye on this and other products you regularly buy – you never know when an entertainment-related promotion will be tied in. Often, kids who are raising money for school trips sell great deals. I have purchased punch cards and coupon books for deals at restaurants and fast food places, all the while contributing to a good cause. School websites generally have information available for those who wish to help in such school fundraising efforts. Schools can also offer steep discounts on tickets for shows at local performing arts centers. A school in my area once offered $20 tickets to a Broadway show, which was merely one-third of the regular price. Because the school had bought such a large amount of tickets, the price was greatly reduced, and savings were passed along to students and their parents. You can also have fun with your kids by going along on school trips as a chaperone. For a fraction of the regular cost, you can accompany your child to a museum, a baseball game, an aquarium, or many other venues. Of course, you are responsible for your child and an accompanying group, but it can still be an enjoyable outing for all. Taking in a school play or musical is also a fun, inexpensive way to spend an evening, especially if you know some of the kids in the production. You might be surprised at the quality of the performance, and the price is likely to be less than that of a movie ticket. If you live in or near a college town, there are likely to be university productions, concerts, and recitals that you can attend for a fraction of the cost of a Broadway show or professional performance. Also, local theater and choral groups put on shows throughout the year, especially around the holidays. Check your local paper for upcoming events. Though going to see the latest blockbuster can be expensive, there are many ways to save money on going to the movies. I am fortunate to have two budget theaters in town, where movies cost only $4 per person. They don’t show first-run films, but I don’t mind waiting a few extra weeks to see a movie at less than half the price of a ticket at a regular theater. If you’re not sure if you have a budget theater near you, check your newspaper movie listings or do a Google search for nearby theaters. If you are lucky enough to have a drive-in nearby, you can take a car full of people for an affordable flat rate. Even if you don’t have a budget theater nearby, many first-run theaters have midweek promotions to boost patronage when attendance is typically low. 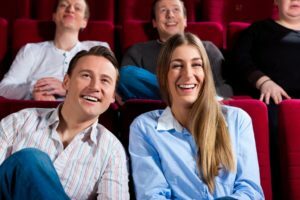 For example, Marcus Theaters, located in several Midwestern states, runs a “Spotlight Selections” series on Wednesdays and Thursdays. If you sign up on their website to join the Spotlight Movie Club, you receive a weekly email indicating which four movies are spotlighted for the special price of $5. Many theaters also offer discounts to people who sign up for loyalty clubs. You can receive coupons in your inbox for two-for-one deals, or even specially priced popcorn and soft drinks. One way to have fun without spending a lot of money is to entertain at home instead of going out. It’s much cheaper to cook a meal than it is to go out to eat. Or, if you’re cooking for a small crowd, make it a potluck to share expenses. If your friends or family members like to play cards or board games, you can have a fun evening of cheap entertainment with a game night. Entertaining at home involves fewer distractions than going out, so it’s actually a better way to interact with guests. Local nature centers often feature free or low-cost programs that are both fun and informative. I regularly go to the “Maple Syrup Saturday” event at a local nature preserve to watch experts tap trees and boil sap into syrup, which visitors then get to sample on ice cream. The same nature preserve offers cross-country ski and snowshoe rentals for people of all ages at reasonable prices as well. You may live near many inexpensive entertainment options and not even realize it. I discovered a small, out-of-the-way amusement park strictly by word-of-mouth, and I found it to be surprisingly fun for being only one-third of the cost of a larger, well-known amusement park. Search online for amusement parks in your region, and you may be surprised at what comes up. If your kids really want to go to the pricier amusement parks, such as Six Flags or Disney theme parks, there are often coupons to be found for cheaper admission, especially during the off-season, midweek, or in the evenings. Check for coupons online or via your child’s school. My son’s school partnered with an area bowling alley for Kids Bowl Free, a national program created to give kids a free recreation option during the summer. Kids receive two free games of bowling to be enjoyed at any point during summer vacation, and parents or caregivers who accompany the kids can get reduced rates on games and shoe rentals. The program boasts 1,000 participating bowling alleys in the U.S. and Canada, and you can find out if there is a participating bowling alley near you by visiting the website. 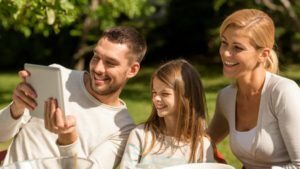 Your best resources to find great affordable entertainment options may be your neighbors, teachers, and other parents, especially if you’re new to your area. I’ve lived in my town for 13 years, and I’m still finding new, out-of-the-way places, simply by asking around and engaging other locals. Once you get serious about finding fun things to do for cheap, you may wonder why you ever spent so much money on entertainment before.